You are here: Home | Computer Repair / Maintenance | "My Computer Is Slow!" I’m writing this article because, last week, a friend of mine asked me if I could get some files off of his old computer that he said didn’t work anymore. I told him I would, and asked him what was wrong with his computer. He simply said that it didn’t work anymore. I informed him that, at the worst case, if I couldn’t get the computer running to grab his files, that I could pull his hard drive and attach it to a working computer and extract the need files (unless, of course, his computer’s hard drive had a catastrophic crash). After picking the computer up from my friend, I plugged it in and powered it up and discovered(much to my amazement) that the computer DID in fact work, it was just agonizingly slow. The computer looks like it has almost never been used before, although it was released in early 2005. (I found that out by Googling the computer’s model). The reason that the computer was so slow was the fact that it only had MB (1/4 of a GB) of memory installed! THIS was why the laptop “didn’t work”. This is a common issue with computers, at least the older ones, that were purchased off the shelf at your big box stores – they were shipped with barely enoug memory to run the operating system. This is a common issue that I run into, which is the purpose of writing this article. 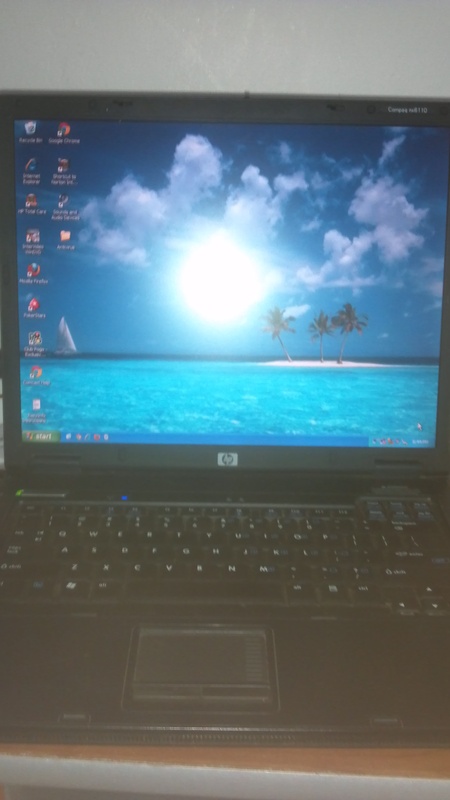 The computer in question is an HP Compaq (HP has acquired Compaq, in case you didn’t know that) nx6110. 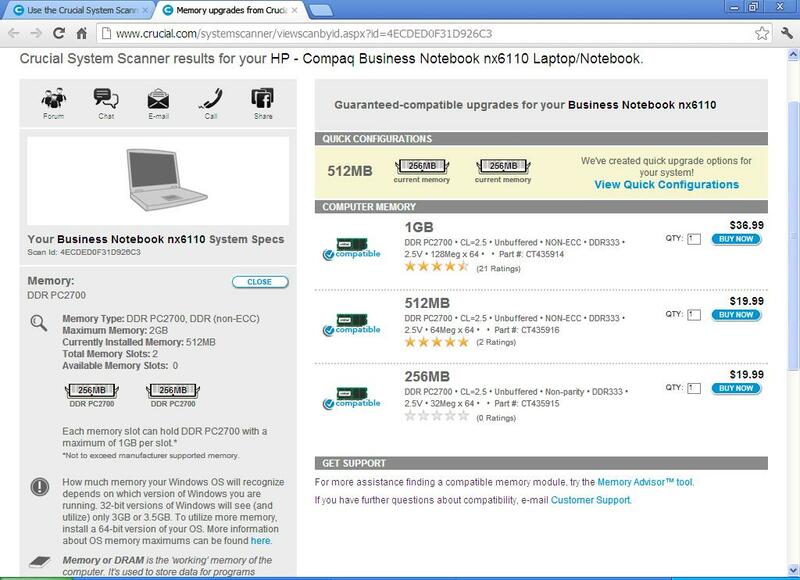 This is a laptop that HP was promoting as a “Business” notebook. The computer shipped with a Intel Celeron 1.40 GHz processor, 256MB of RAM (memory), a 15″ display, a 40GB Hard Drive, and a DVD ROM drive (not writable). There is nothing fancy about this laptop, as it is a very somber two-tone black and gray. As it turns out, this laptop is a stripped down version of the model HP was promoting, which you would commonly find in places like Walmart or those rent-to-own stores. Sadly, this computer still retailed at $999.00 – even more if it was purchased rent-to-own. Now according to Microsoft, in order to properly run Windows XP, you need a MINIMUM 233 MHz Pentium processor, MINIMUM 128MB of RAM (which Windows will use approximately half of), and 1.5GB of free space on your hard drive. This computer was under powered as soon as my friend purchased it! How do you know much memory a computer is capable of? This is a good question that I am happy to share the answer to. There are many ways to find out how much memory your computer can handle – such as using Google to find your computers spec sheet or reviews and the digging through the things you find to get your answer. My solution is MUCH easier. 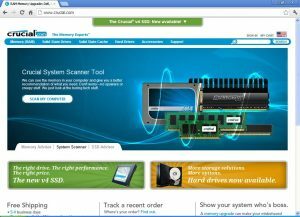 Most of your major memory suppliers have a tool on their websites that will scan your computer and tell you, not only how much and what type of memory your computer is capable of, but how much and how many slots you have inside your computer. I prefer to use the system tool at Crucial.com, it’s easy to use, and only takes a about a minute or so to download and run. As you can see by the second screenshot to the right, this particular computer only has 512MB (1/2 GB) of memory installed and is capable of 2GB of memory, which would make this computer plenty fast! It also, like most laptops, only has two memory slots, capable of a max of 1GB per slot. 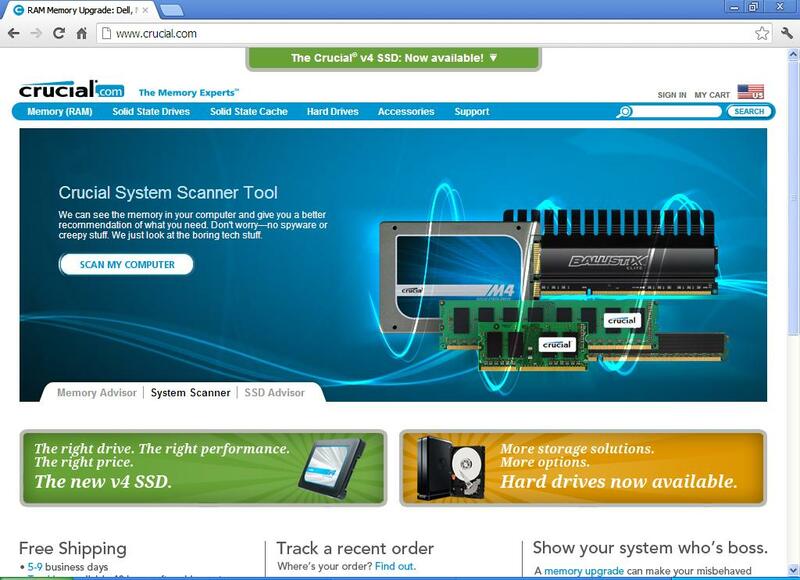 If you bought the memory from Crucial, a 2GB kit would cost you $73.98 + tax. 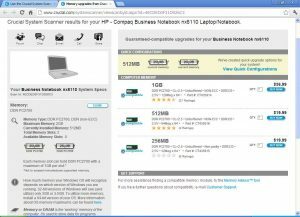 I usually buy my supplies at COMPUSA where the prices are much better (see the hyperlink). The computer is running good right now at 512MB, when I tell my friend that he can have this computer back in like new condition for about $75 in parts, he will be ecstatic, as he thought the computer was dead. Before you give up hope on your older slow computer, check with a computer repair person ( preferably me 🙂 ) and have your system analyzed, chances are you may just need a memory boost and a clean up. It can save you quite a bit of money! Hard Drive Space vs RAM: What’s the Difference? Should I Repair My Computer or Buy A New One? If you have a question or topic you’d like addressed, please make sure to visit the Contact Page and drop me a line!